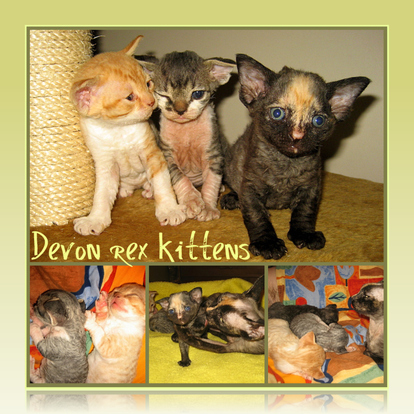 We don't have kittens at our house but 2 adorable litters from our cats are available - one devon rex litter and one selkirk rex litter! Kika's daughter Dafne dave birth to 3 cute devon rex kittens on February 12, 2009. 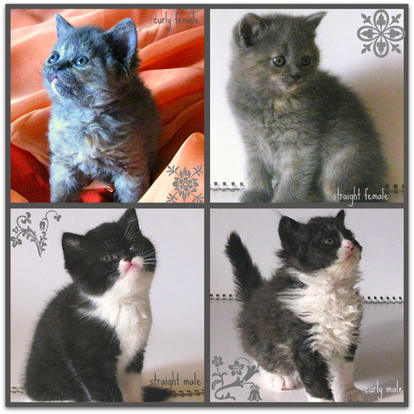 One male and 2 females, all will be registered under my FIFe cattery name - LV* Lamblike. For more information please contact Santa Zāģēre: sancho34@e-apollo.lv or +37129830921. For more information please contact Maija Kalēja: kaija_pkmb@yahoo.com or +371 29258513.